Here editor, Marcus O'Dean, outlines his needs for successful contributors' feature articles in Sporting Shooter magazine. Now I have been reading Sporting Shooter since I was 14. I'd always been keen on gun tests and Nick Harvey's Ask The Gun Editor column from the mid 70s, so much so that, by the time I was 18, I was the junior theoretical technical expert in my fullbore rifle club. I was lucky that I wasn't boxed round the ears for my pontifications, but also lucky that I read Nick's work, because he really has seen and done it all. While at University, I was accused of writing essays in “journalese”, even though I was not trained. I had just read so many Sporting Shooter and Australian Photography magazines that I wrote in the style of a magazine feature writer to garner marks in assignments. So, I guess I was destined to start writing for some magazine, sometime. Nick's writing, apart from being accurate and historically correct from experience, is entertaining, often humorous, but also employs a beautiful and unique turn of phrase. I stand in awe of his mastery of firearms and shooting, but also his mastery of English writing. Col Allison is another, a classically trained journalist who is the master of brevity and excitement. Sometimes Col will just use a single word or two as a statement. Highly relevant to the story, it piques your interest, itching to know what comes next. He also uses humour to good effect in writing of his relationships with other hunters and the hunt itself. While I do not expect other Sporting Shooter contributors to reach such a professional level with their writing, the average, literate person can put together a short article as long as there is a good reason to write it. Almost without exception, every hunt I have been on, successful or not, has either taught me a lesson, shown me an aspect of nature I have not witnessed before, or highlighted some personal strength or failing that would be of interest to readers. Often, humour will accompany the quirky, unfortunate or enlightening experiences we have on the hunt, which are obvious at the time, or on reflection sometime afterwards. So, anyone who has done at least some hunting will identify with how different your story is from the mundane. A successful hunt resulting in a massive trophy may make hard-core trophy hunters drool at the images, but the writing may be as boring as bats..t, documenting everything that happened on the hunt, got up, had a coffee, packed the vehicle, blah-blah,blah. Rather than diarise every detail of the hunt and every animal everybody shot, select one or two highlights, analyse them and find what was so great about them and expand a bit on those, while you intersperse those written experiences with brief connecting detail. On chronology. If you relate a hunt exactly the way it panned out from start to finish, you may find that the climax happens early in the hunt. It is perfectly acceptable to re-jig the order in which things happen, so that you can build some suspense and expectation in the story, so readers stay interested right through to the end. It is not lying, just changing the order for interest's sake. Whatever your experience out bush, if you want to share it with others, step right in with both feet and give it a go. You can only get better – and you will develop your own unique style while you do it. Below are some guidelines to help you to taking that first step. Good luck! Often the editor will excuse a few spelling errors or occasional poor grammar if the accompanying pictures are sharp, well composed, properly exposed and add meaning to the article. Nowadays, relatively inexpensive digital cameras which take quality photos are readily available. They are compact, have adequate built in flash units and allow in camera editing unthinkable ten years ago. That said, there is a temptation with digital cameras not to be as exacting in the execution of exposures because of their nature. Flash should be used as often as possible, even in daylight, for close subjects. Photos should be sharp, focused and correctly exposed. Also ensure you have stopped puffing before you start clicking. Include some variety as well as the trophy shots, eg background/scenery, the rifle and ammo used etc. From an ethical standpoint, any photos of killed game should not be excessively gory eg entrails hanging out, huge exit wounds to camera, bulging eyes from head-shots etc. Similarly, hunters in the photos should not be standing or sitting on game animals, thereby indicating disrespect for their quarry. Take time to wipe up any obvious blood, put the tongue inside the mouth and use prop sticks, if possible, to pose the animal so it would be fine to display that photograph framed in your own lounge room. The Title. You can save the Editor a bit of a headache if you think up a snappy title for your article which reflects the contents. Alliteration is a little language trick that journalists use to generate interest. You just use a title where the first letter of each word is the same eg 'Busting Black Bunnies' or 'Great Goat Gun'. Sometimes, no matter how much you try, the clever words just don't come and it is just easier to be direct and say what it is eg 'The Dingo'. Introduction. You can help the editor here by suggesting a one-sentence lead-in like, "We're off after hogs on quad-bikes in this exciting tale by new contributor Mick Jagger." Article Length. The format of magazines is such that readers pick them up for 10-15 minutes, have a quick read and come back to them later. They do not lend themselves to lengthy, involved articles. Therefore, we recommend that you submit 800-1500 words as a standard contribution with an absolute upper limit of 1800 words. Writing Style. A direct and concise style that could be read and understood by a literate 10 year-old is a wise guide for contributors to special interest magazines like Sporting Shooter. Try to get a well-read friend to go through your draft so that you eliminate unnecessary padding and break down lengthy sentences into shorter, more easily understandable ones. This is particularly appropriate when dealing with a pursuit where potential danger is there and young people have an abiding interest. By pitching your articles at this level, all potential readers see the magazine as accessible and interesting. WE LOVE HOW-TO ARTICLES eg hunting techniques, preparation for hunting, gear maintenance, getting a rifle set up to hunt, species guides, location guides etc. A Positive Sport. At all times when writing about the shooting sports, it is necessary to portray them in a positive light, so that even non-shooters who read them for whatever reason, have no ammunition to use against us. 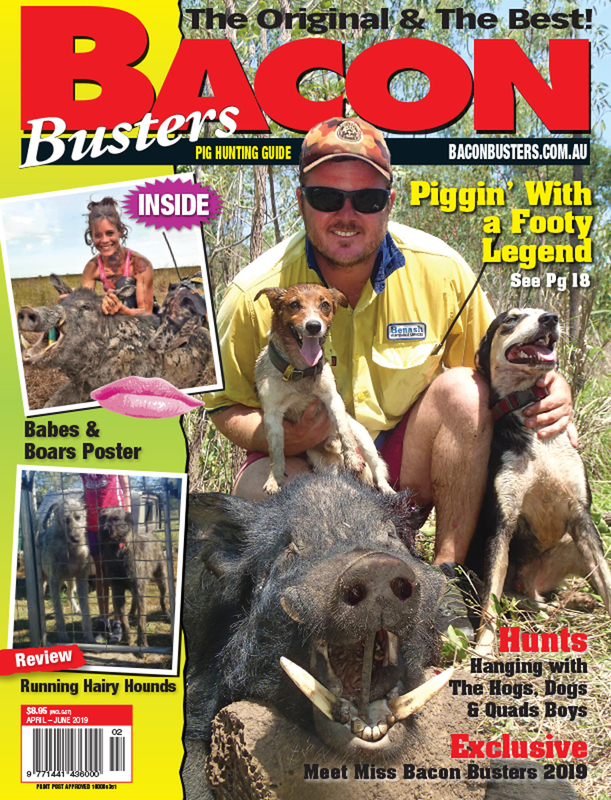 An emphasis on pest control, safe, healthy adventure, fair chase, humane single shot (or quick follow-up) dispatch of game, family involvement and assisting landholders and the environment are all good themes to introduce in articles. Use of Slang and Political Opinion. Slang should be kept to a minimum as should the voicing of political views in an article about healthy adventure. There are other places for political opinions to be aired. Typical Aussie vernacular however is quite OK.
Photo captions. (VERY IMPORTANT)Ensure that, at the end of your article, you include a list of numbered captions which correlate to numbers on your photos – renumber them 1.jpg, 2.jpg, 3.jpg etc. Presentation. In this day of almost universal computer usage, we will only accept articles submitted as a MS Word (or Mac equivalent) document on memory stick or by email – two high res' pictures at a time due to server restrictions over five or six emails is quite OK. In this way, your article is more likely to be used first when time is tight because the Editor does not have to use too much brain power to get your article into a usable form. Do not be worried if you send in an article that the Editor accepts and it does not turn up in the next issue. He will be thinking of line-ups of articles for up to four issues in advance and will be looking to place your article where it will provide some balance and variety. 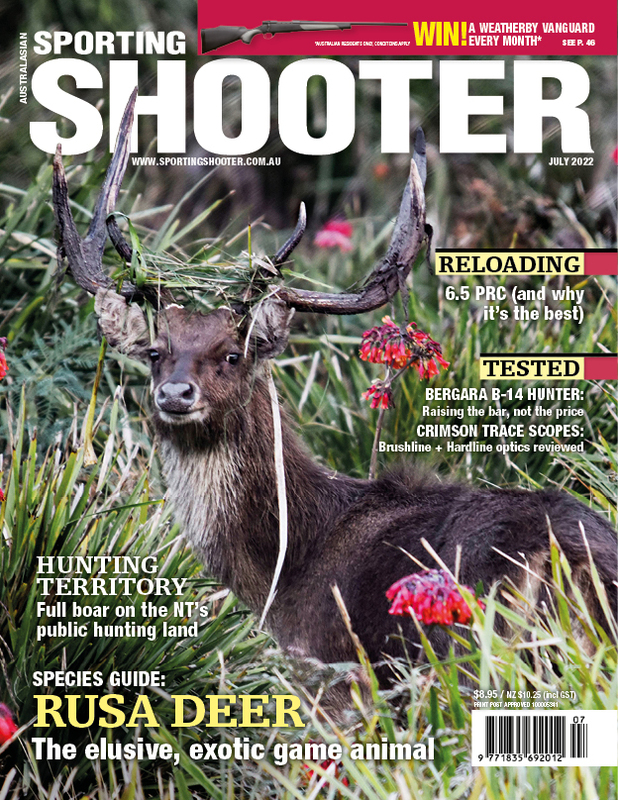 One of Sporting Shooter's strengths is that it tries to cater to the broad tastes of its readership with a variety of articles from overseas 'once in a lifetime' trophy hunts to shooting bunnies or pigeons in your own backyard in most issues; we don't just run five deer articles in one issue and none for the next three. Also, the issue the editor is working on currently is three months from the news-stands, such are the lead times in publishing. It may be six to nine months or more before your article sees light of day. After your article hits the news-stands, the Editor will organise payment for the contributors to that issue. Payment to contributors varies on a per page basis depending on the quality of the raw article and photos, the amount of work the editor may have to do to get it into publish-able order and the budget constraints and advertising balance for that particular issue. 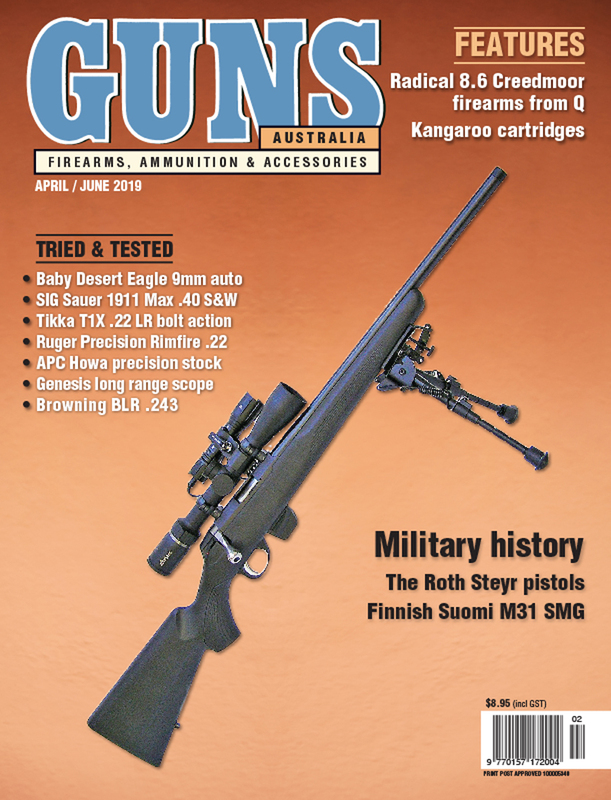 It is suffice to say that you will not get rich being a gun writer in Australia, but you will be in print and able to allay some of the costs of your hobby with the proceeds. We will need your bank Account number and BSB to effect payment by direct deposit, so include those details with your first article. Hopefully, this has given any potential writers out there some tools to get started. When you do, feel free to contact me by phone on 02 9213 8258 or by email at marcusodean@yaffa.com.au . I am eagerly awaiting your contribution.